Have you or a someone you know ever been affected by road trauma? Are you aged between 15 – 25? Now is your chance not only Impact the Screen but also Impact a Life by sharing important and relevant road safety messages to, ‘Keep Your Mates Safe’! The Blue Datto Foundation are a NSW based charity that provide road safety education programs to encourage young drivers to develop positive attitudes and behaviours on our roads. 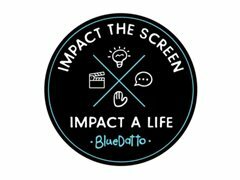 Blue Datto are excited to announce their inaugural Short Film Competition: Impact the Screen – Impact a Life, which encourages young people to bring their ideas for change to the screen. Calling creative minds with a combined passion for film, art & acting and a will to help save lives!